Introduction: An unusual combination of properties is obtained in ductile iron because the graphite occurs as spheroids rather than as flakes. The different grades are produced by controlling the matrix structure around the graphite either as-cast or by heat treatment. Only minor compositional differences (to promote the desired matrix microstructure) exist among the regular grades. Alloy additions may be made to assist in controlling the matrix structure as-cast or to provide response to heat treatment. The high-strength grades can be quenched and tempered to form a bainite-like matrix produced by austempering. 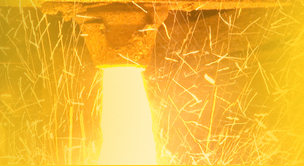 Austempered ductile iron (ADI) provides twice the strength of conventional ductile iron at a given level of ductility. ADI can have strength in excess of 230 ksi (1,586 MPa); however, its modulus is 20% lower than steel with a comparable strength. Properties: Five grades of ductile iron are classified by their tensile properties in ASTM Standard A536. SAE Standard J434c (for automotive castings and similar applications) identifies these five grades of ductile iron only by Brinell hardness. However, the appropriate microstructure for the indicated hardness also is a requirement. Specifications for specialty applications not only define tensile properties but also have composition limits. In the ASTM specification, the focus is more on tensile properties than chemical composition. Application: Ductile iron casting as found wide acceptance and competes favourably with steel such that its use in engineering has increased in recent times as while grey cast iron and malleable cast iron has fallen in popularity as other materials such as plastics have found favour. 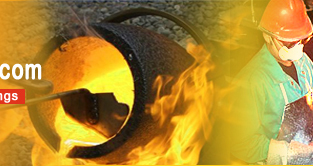 Ductile iron has the ability to be used as-cast and without heat treatments or other further refining. It has a tensile strength comparable to many steel alloys and a modulus of elasticity between that of gray iron and steel. It has a high degree of ductility.